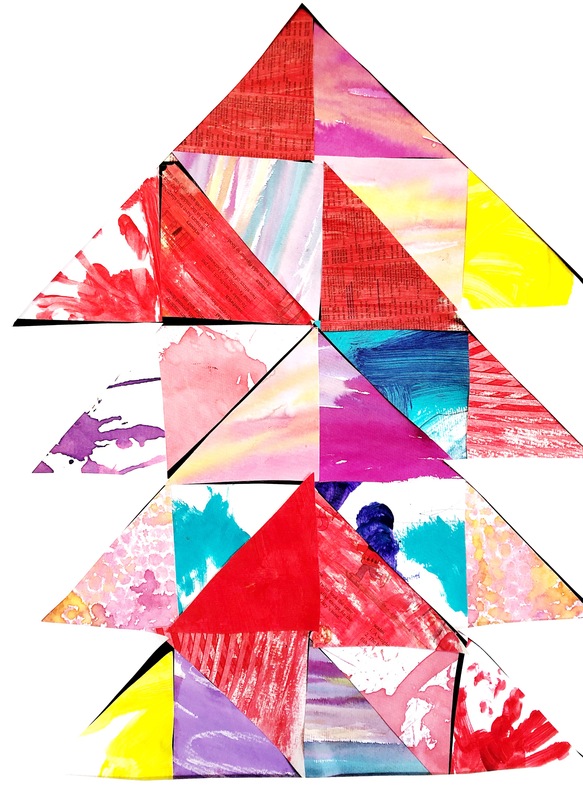 This Christmas tree craft reuses all the kiddy artwork to create a colourful, one-of-a-kind tree. Did somebody say Kindy Chic? *Well that’s the case here in Australia where our school year finishes just before Christmas. Is it the same at this time of the year in the Northern Hemisphere despite the school year not being over? I find it hard to part with kiddy artwork. I clearly have had to figure out strategies so as not to drown in it all. 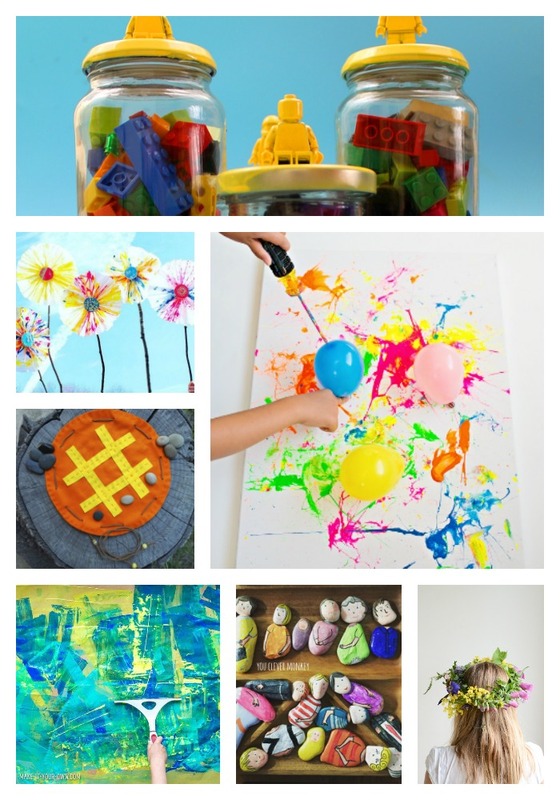 Here are some other ways to reuse your child’s artwork. I recommend involving your child in a discussion of what masterpieces to keep and which ones they are happy to part with. Cutting up a child’s artwork without their permission can result in a very angry artist. And, yes, I’m speaking from experience. I’m not gonna lie. This activity requires you to do some prep beforehand. This will make for a more enjoyable experience and also save your sanity. Now I chose to have the children glue onto a black sheet of card. I then laid a piece of white card over the top to neaten out the look of the tree and to make the colours pop. You might like the tree on the black card alone- so don’t bother with the white cardboard. You can choose whatever colour of card you like and you don’t have to add the top layer if you don’t want to. It’s your tree!! Print off and trace the triangle template onto some cardboard and use this as your stencil. I started at the top of the black card, about 1.5cm from the edge and traced 2 triangle to form the apex of the tree. Each layer down involved 6 triangles. I ended up with 4 rows of 6. Follow the top photo to see the orientation of the triangles to achieve this look. I then repeated this process on the white card and cut out the tree. Following this process will leave you with a tree containing 26 triangles- the exact amount of letters in the alphabet! Use the triangle stencil to cut 26 triangles from the piles of kiddy artwork. I predicted that my 3.5-year-old might encounter difficulty with placing triangles in different orientations. So I labelled each triangle on the black card with a letter. I then coded each of the 26 triangles wit a corresponding letter. 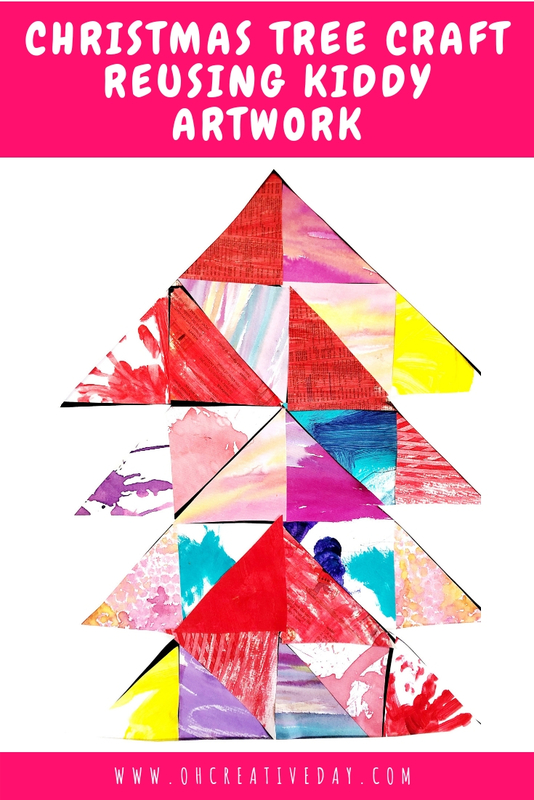 REMEMBER that the triangles are in different orientations on the tree so be mindful of this as you are cutting artworks in specific areas for specific colours. I stuck the black card to the wall and placed the artwork triangles on side tables. I then handed the glue sticks over to my kids and unleashed them. If you watch the video of this process, you’ll see my 5-year-old owning this project like. a. boss. As predicted, my 3.5-year-old encountered some frustrations early on and announced he wasn’t participating. I offered to help him and coaxed him back into participating by asking him to match letters from the triangles to the black card. Win. 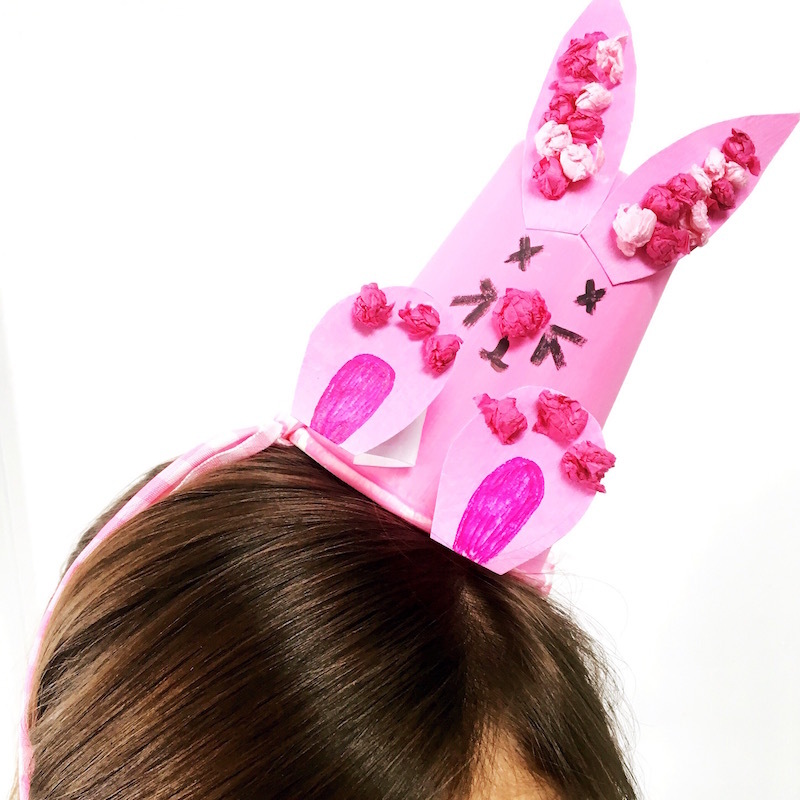 The #teachermum in me adored all the learning opportunities in this project. Letter play, triangles that required flipping and rotating and alla the fine motor practice. Once all the triangles were used and covered, I used my white tree window card and glued it over the top of the white card. Now to think up 65 projects for all the other pieces of kiddy artwork. Need more creative Christmas inspo? Head over to Instagram where the fun is just beginning. 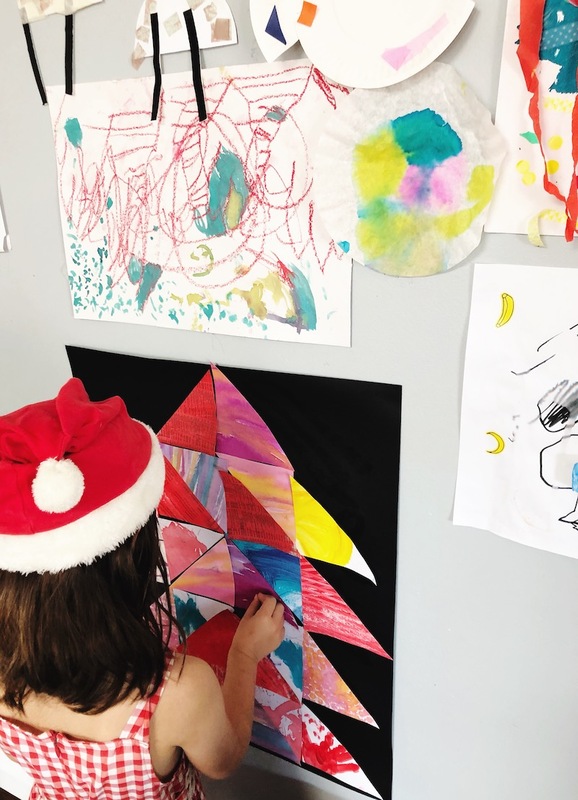 Over the next 12 days you’ll be treated to festive projects from the best of the gram: @raising.kinley, @redtedart, @hatchartstudio, @artcampla, @ohcreativeday, @creatingcreatives, @thebluebarn, @barleyandbirch, @handywithscissors, @heart_artlife, @theartgardenblog, @make_it_your_own_, @the_harmony_tree_house, @leftbraincraftbrain, @minimakersstudio, @hidden_egg, @hellowonderful_co, @teach.investigate.play, @juliecurtin14, @brainy_beginnings_network, @babbledabbledo, @momma_teaching and @juliansteadt.